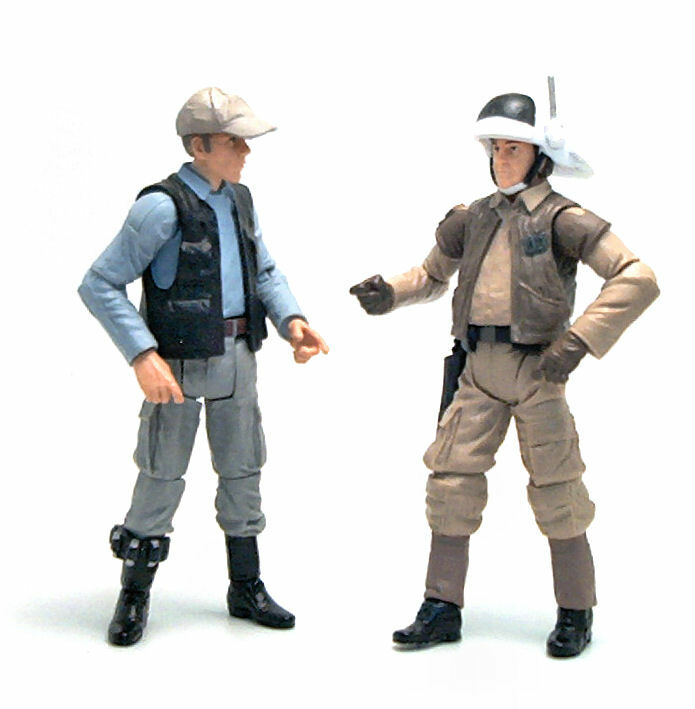 With a whole half-wave devoted to characters from the deleted scenes in Return of the Jedi (included as an extra bonus in the Blu –ray release of the original film trilogy), it was inevitable that some of them would be generic background characters. While I can certainly get behind the inclusion of, say, alien fighter pilots, generic white guy in drab uniform would not rank too high on my list. 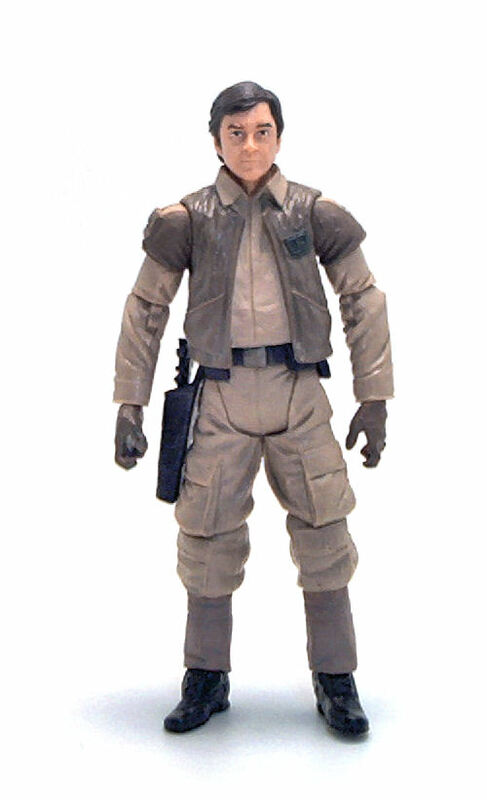 This Colonel Cracken (Millennium Falcon Crew) certainly fits that criteria, but in a line that bring us multiple versions of the core characters wave after wave, these Nobodies are precisely what keep my interest high. 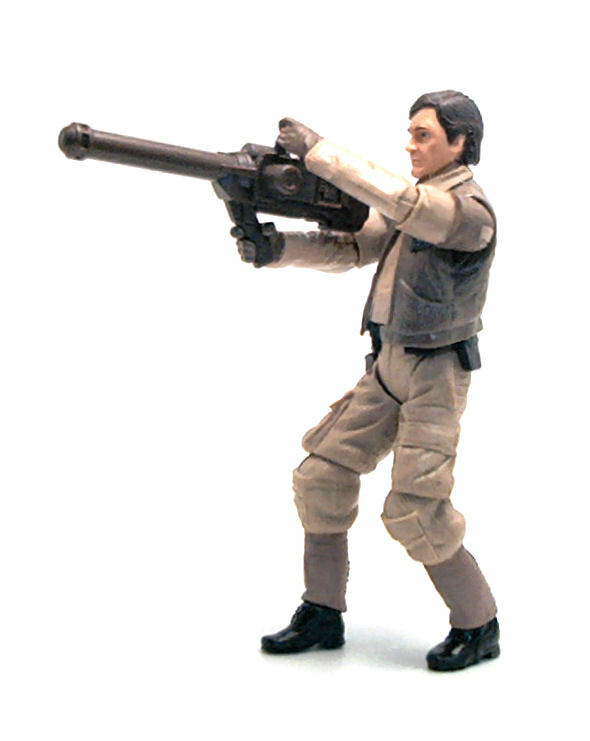 Cracken (VC90) was released in 2012 as part of the second wave of figures from the Star Wars Vintage Collection. 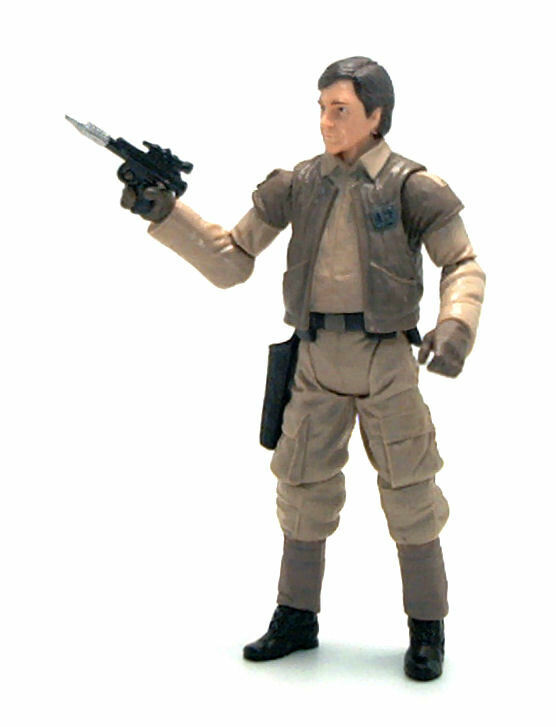 The character was one of many rebels stationed aboard the Millennium Falcon during the Battle of Endor, therefore he seems to be attired in plain Rebel Alliance uniform, consisting of cargo pants, long sleeved shirt, utility vest, gloves, spats and belt with a holster. The figure is an entirely new sculpture, and I must say that the level of detail is quite impressive, from the fake fabric textures to the simulated puffiness of the garments. The face sculpt is good, but it doesn’t resemble the picture of the guy in the card at all. In fact, Hasbro could have given him a headset and call it a day, but instead they gave us a plain, brown haired guy of indeterminate age. Cracken is such a generic army guy that just by mixing and matching accessories it would be possible to bulk up an army with this figure. Throw in some head swaps and the possibilities skyrocket. The hip joints, which can’t really bend all the way upwards to 90° because the edge of the vest gets in the way, but range is generally good and the figure is stable enough to stand even in dynamic poses. From the pictures you can probably tell there is not a lot of paint applications going on the Colonel. 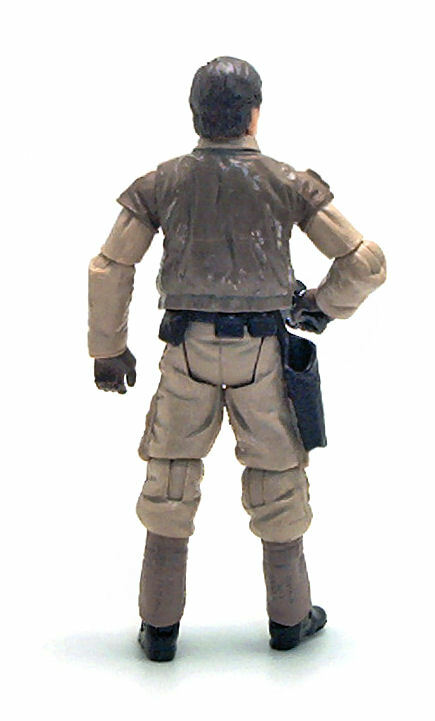 Arms and legs are molded from tan plastic, while the torso is molded in brown. The front of the shirt and the neck post are painted tan and flesh, respectively, with the shoulders, spats and gloves painted in an ashen brown color that matches that of the vest. The head has painted brown hair and the standard two-color eye paintjob. All of this was applied very neatly and from what I could see at the store, very consistently from figure to figure. Col. Cracken comes with a couple of accessories. One is a standard pointy rebel blaster that fits perfectly on the holster hanging from his belt, and the other is some type of heavy cannon. 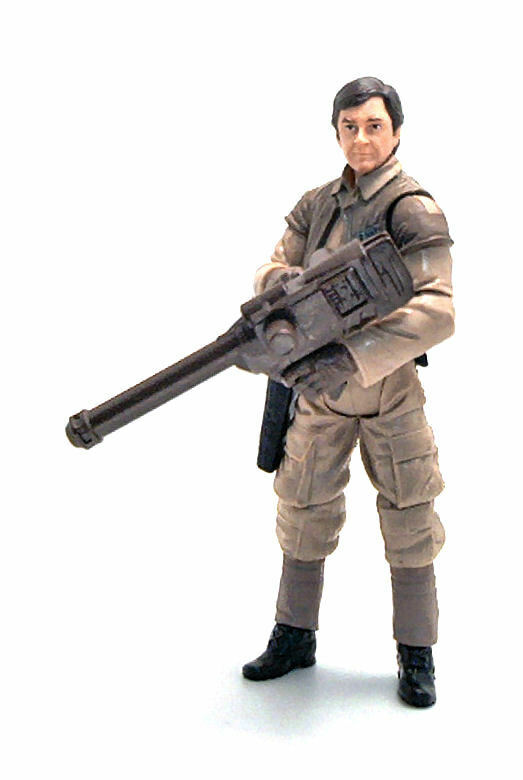 While the blaster is nicely detailed with a bright silver tip, the other weapon seems to have been molded in brown plastic and just given a darker shading wash. The thing looks like it was designed for some other toy line but still, Cracken can hold it reasonably well. Cracken turned out to be a pretty fun action figure and I would even consider picking up a few more to customize and army build with, if these figures were a bit more easy to come by.